Affordable housing. Marriage. Kids. Electrical bills. An old car. Rain leaking through your ceiling. Your phone won’t stop buzzing. Trump. Healthcare. When do you start getting mammograms again? Profit margins. Employee manual. Following your own journey. 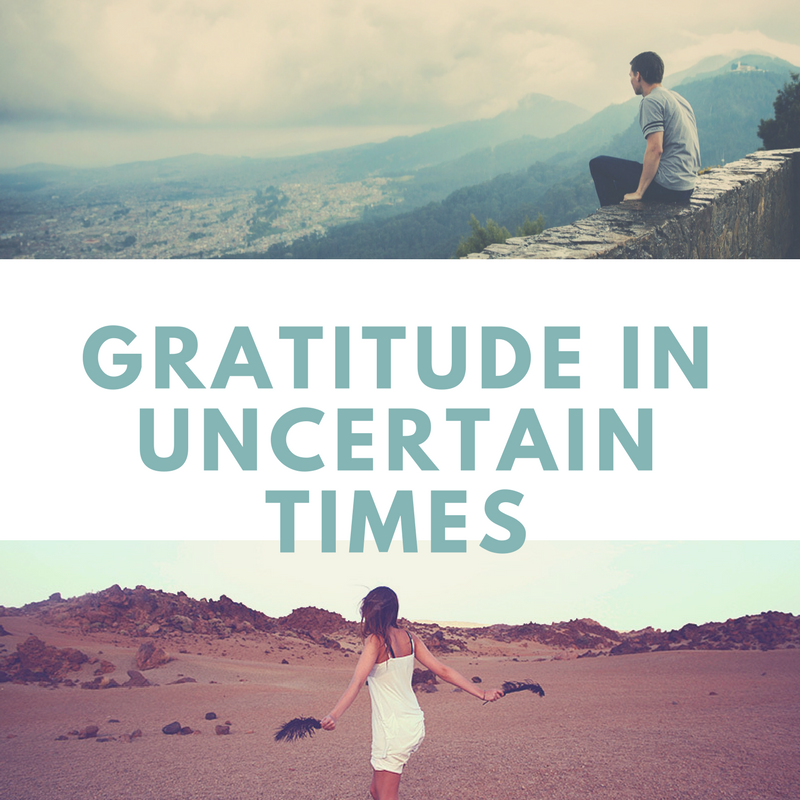 During this rollercoaster called life, gratitude, saying thank you, is what helps me. There is no doubt that we live in uncertain times, whether you are a business owner or not. Our lives seem more hectic and stressful than that of our parents AND we are supposed to follow our bliss. Even if you take a yoga class every once in a while, or grab drinks with your best buddies on a Friday evening, it always seems like there are so many more stressful moments than there are joyous ones. Let’s be real, in every life, in every dream, in every situation brought to you by your own doing or someone else’s or just dumb luck, there are problems to be faced and that’s just the way it is. It has always been this way. It’s how you let those problems make you feel that’s going to determine not only how you survive, but how you thrive in uncertain times. At a college commencement speech this year Oprah said, “I practice being grateful…” And a lot of people said, “Oh Oprah, that’s easy for you because you’ve got everything!” She responded with, “I have everything because I practice being grateful.” In the weeks after my mom passed away in 2012, I read all her journals and they were filled with daily gratitude lists. Dozens and dozens of journals filled with all the things for which she was grateful. I popped up a few times, mostly because we had an incredibly difficult and challenging relationship and she wanted to see the good in our shared experiences. In my own self-care practice, I simply say, “Thank you” each morning before I get out of bed. Sometimes, those two words are the only ones I mutter to myself. Other times, I thank the sun for coming out or the difficult employee for teaching me to write out better instructions. My husband often comes up in that list because he is so kind, even when I am unable to return the favor. It may sound goofy, but you know it works. Simply saying, “Thank you” in the face of stress or anger allows the little Renee who lives in my head to change her perspective. Difficult moments are actually an opportunity to grow. They are opportunities to be kinder, to be gentler to myself and others, and to do good work for my community in little interactions or situations. 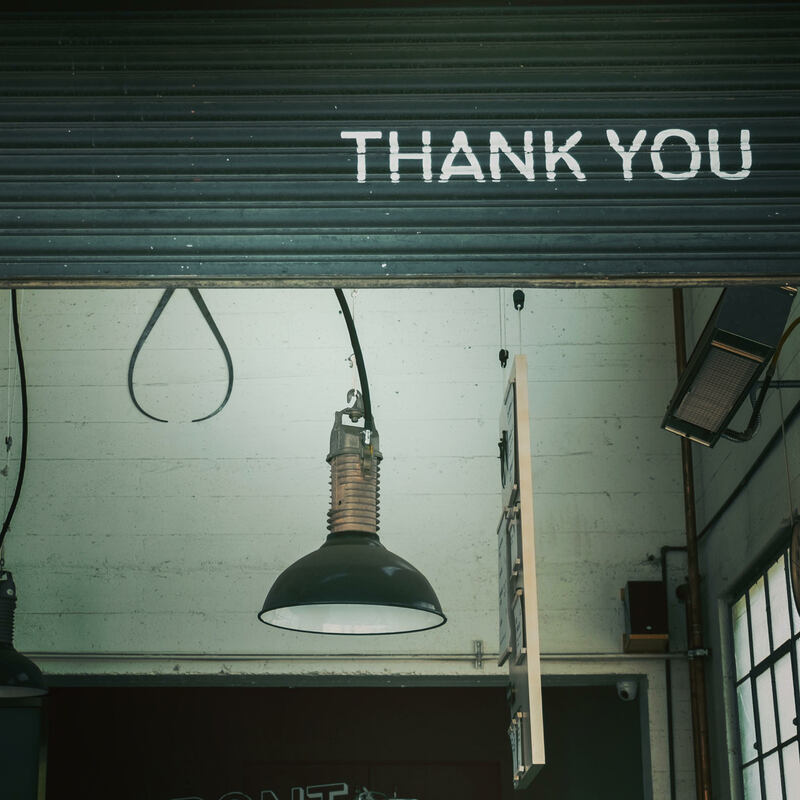 Whether it’s before you get out of bed, in the shower, or before you put your car in drive, find a moment to simply say, “Thank you.” I repeat the same thing, every day. Some days I add more, some days I only say those two words. I know that before I put my feet on the floor for the first time each day, I have to say, “Thank you” first for simply waking up that morning. Saying it at the same time each day helps make sure I do it. It reminds me that before anything else comes up, I get to be grateful first. Don’t forget that there really is so much good happening in your life right now. 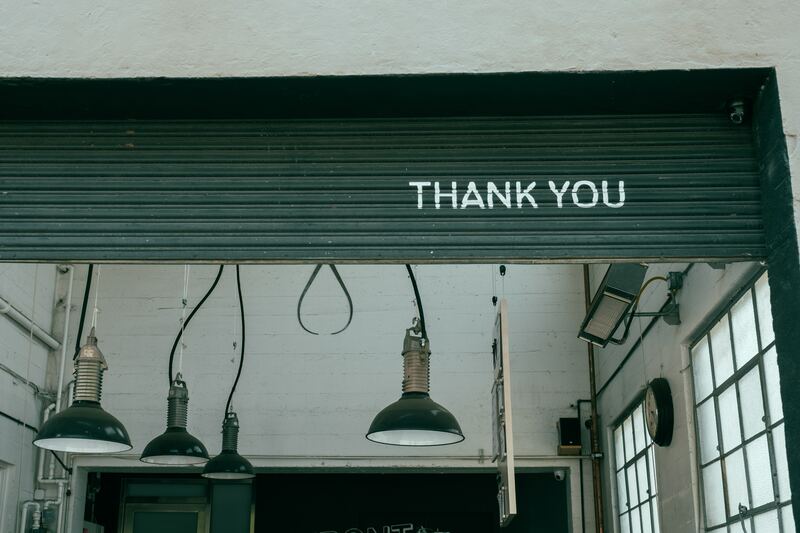 Getting into the habit of saying “thank you” each morning when nothing has happened at all makes it so much easier to say, “Thank you” when something good actually does happen. Take a moment to say it when you finish reconciling your QuickBooks for the month or that employee totally put away all the dishes before you even mentioned it, or someone lets you make the right turn before they go. The more you say, “Thank you”, the more reasons you find to really mean it. Running a business, creating a happy family, and living the life you want to live is stressful, but taking a few moments every day to be grateful makes a powerful difference in whether you let those things overwhelm you with grief or with happiness. Renee Blanchard was born in Lafayette, LA but grew up mostly just north of Fort Lauderdale, FL. Renee spent years working for various non-profits in the DC area, including Greenpeace U.S. and the Center for Health, Environment and Justice. She returned to Louisiana during the 2010 BP oil disaster to work for the Waterkeeper Alliance alongside many other Gulf Coast residents. In 2013, Renee opened Church Alley Coffee Bar with the belief that the joy of coffee brings about a more connected and peaceful Louisiana. She says businesses, regardless of size, should make the communities that support them better, and that the hospitality industry provides a unique opportunity to do just that.